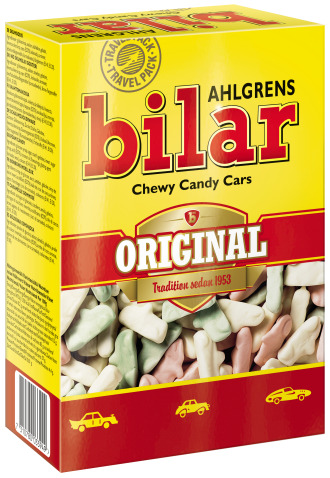 These sweet tasting classic car model have been driving around in Sweden since 1953. 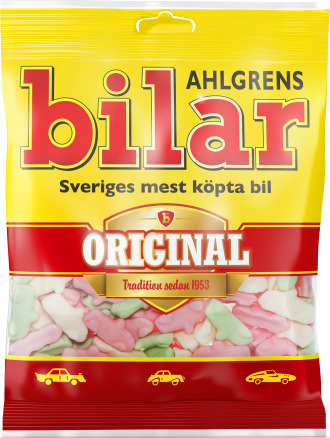 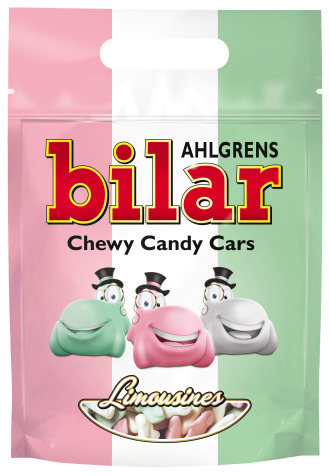 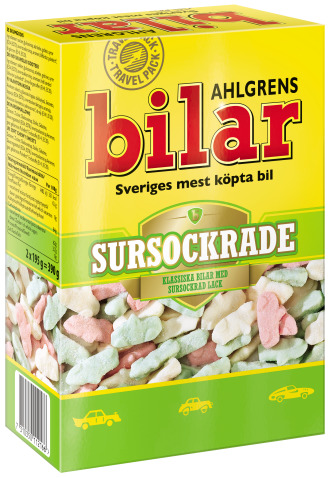 Ahlgrens bilar come in pink, white and green - if the flavors match their colors we leave for you to decide. 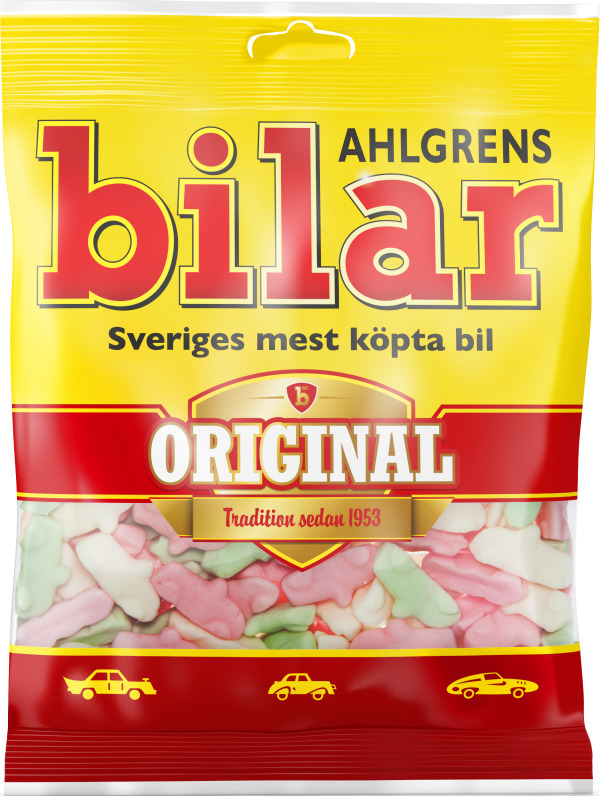 glucose syrup, sugar, water, starch, gelatine, invert sugar syrup, acid (e270), acidity regulator (sodium lactate), vegetable oils (palm, palm kernel, coconut), flavourings, glazing agent (carnauba wax), colours (e141, e120).